The Taiwanese computer memory maker Team Group, known for offering memory under the brand Team Xtreem, has started the sales of a new line of memory modules that is known as Xtreem White. 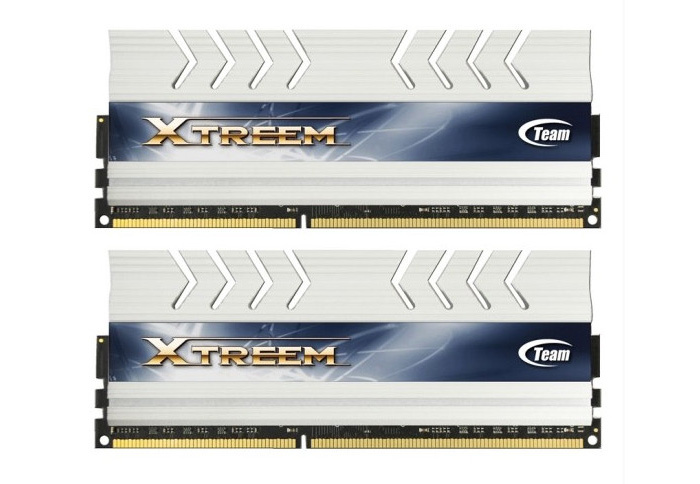 The new memory offers high speed memory chips covered in white heat sinks with the Team Xtreem logo on them. The new memory does look cool but there’s more to it – the company has released memory chips of the same line that reach 2800 MHz. The Team Xtreem White memory fully supports the Intel Z87 chipset and Intel Haswell processors and has support for the Intel XMP 1.3 memory standard that allows easier memory overclocking. As to the memory itself, it runs at 1.65V and offers 8 GB and 16 GB memory kits that run at 2133 MHz (CL 11), 2400 MHz (CL 10), 2667 MHz (CL 11) and 2800 MHz (CL 12). The Team Xtreem White memory is now available in Europe where it sells for EUR 69.90-EUR 449.90 depending on the capacity and speed of the memory.